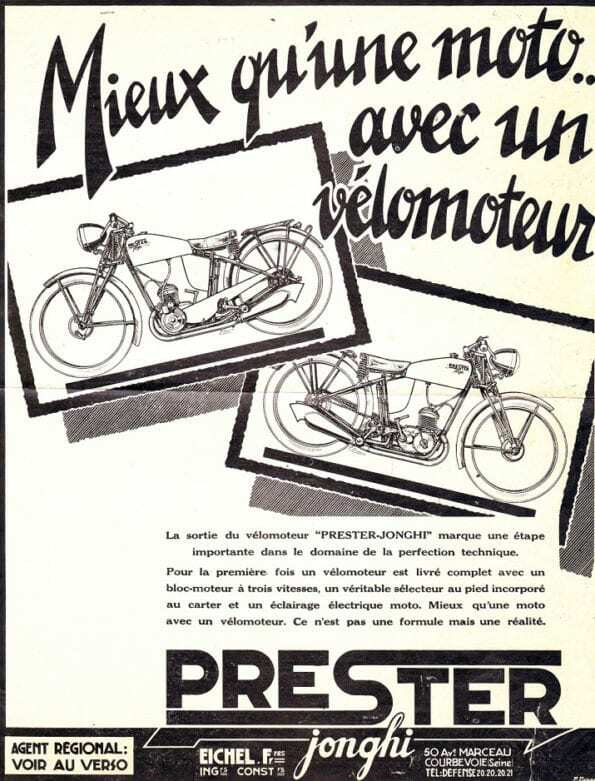 Prester has become known in recent times as one of HJC’s motorcycle helmet models, but the name was associated with two-wheeled automotive machinery at a far earlier point of the last century. 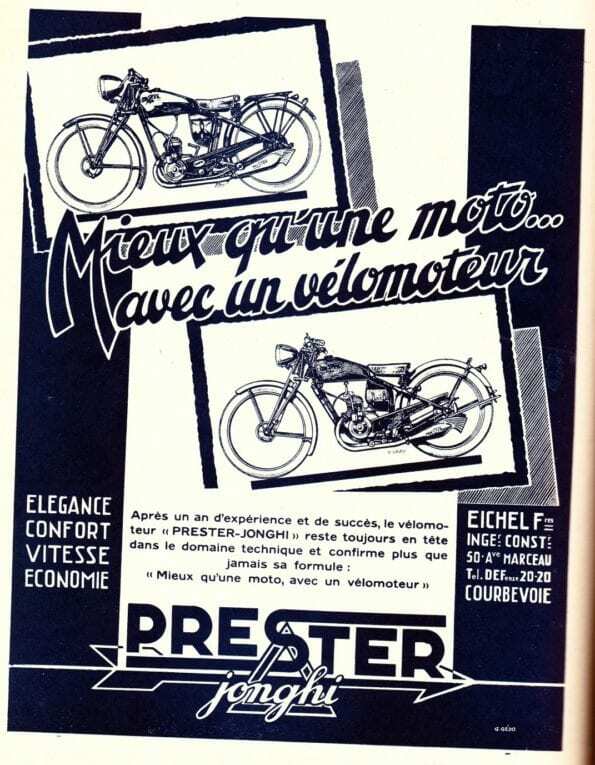 Two brothers called Eichel – or, perhaps more accurately Eichel Frères – began manufacturing motorcycles in either 1926 or 1932 (depending upon which authority you rely upon) in Courbevoie, near Paris. 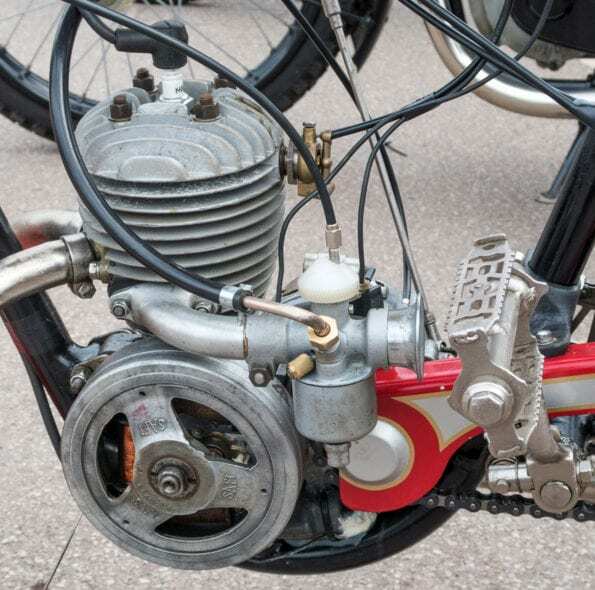 Their creations used engines of a capacity between 98cc to 496cc. The powerplants were not manufactured in-house but acquired from suppliers including Train, Vog, Chaise and Aubier & Dunne. 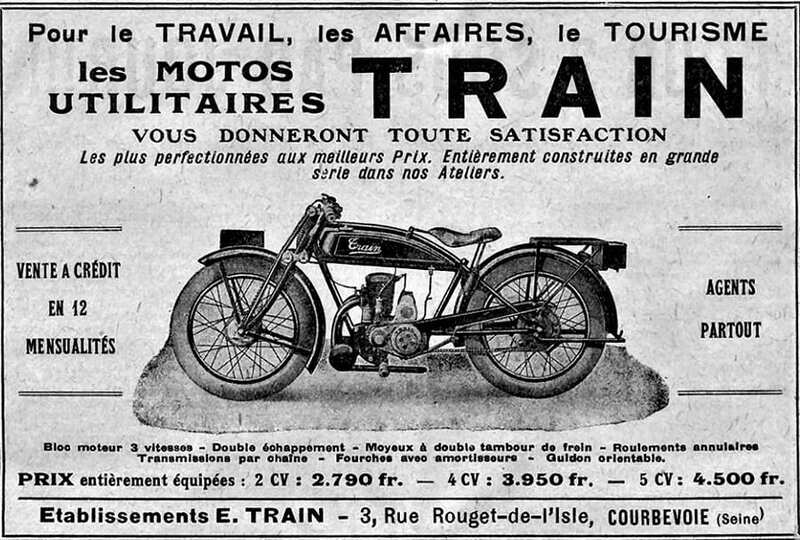 Of these suppliers, Train was also based in Courbevoie – so quite handy – and were in business between 1913 and 1939. 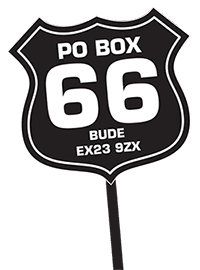 They produced anything from 173cc two-strokes to 995cc V-twins for a host of manufacturers that most of us would not recognise today. 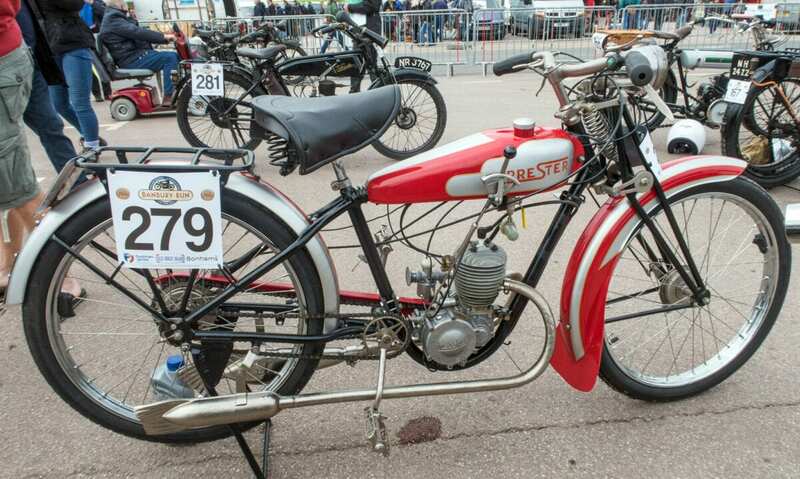 Maurice Chaise began his career with Rhone (later Gnome et Rhone) before setting up on his own account in Paris in 1921 building engines of 500 to 750cc; he too ended production in 1939. 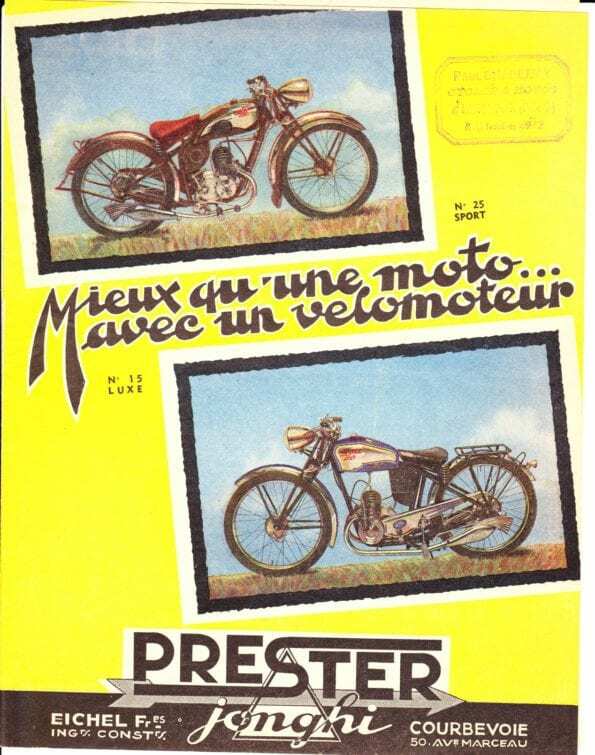 1921 must have been a good year for motorcycle engine start-ups as Georges Aubier and his American son-in-law John Dunne commenced business in Saint-Amand-les-Eaux in north-western France that year. 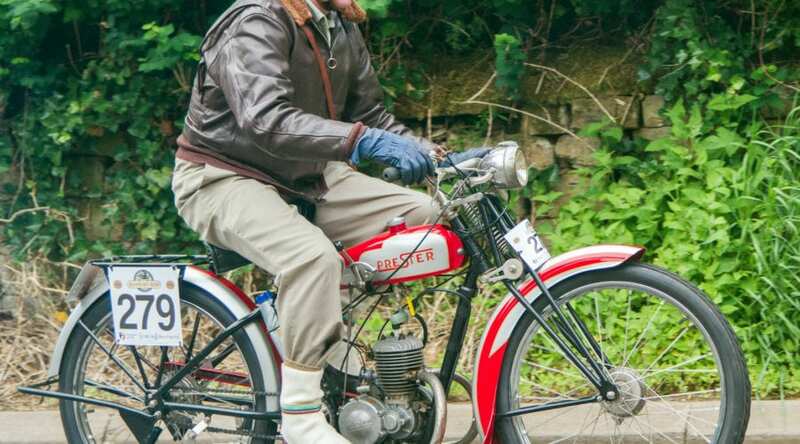 In fact they produced their own motorcycles between 1926 to 1929, most of which were powered by the Chaise 175cc two-stroke engine; the marque was absorbed by Automoto in the late 1950s. Who or what Vog were must remain a mystery. 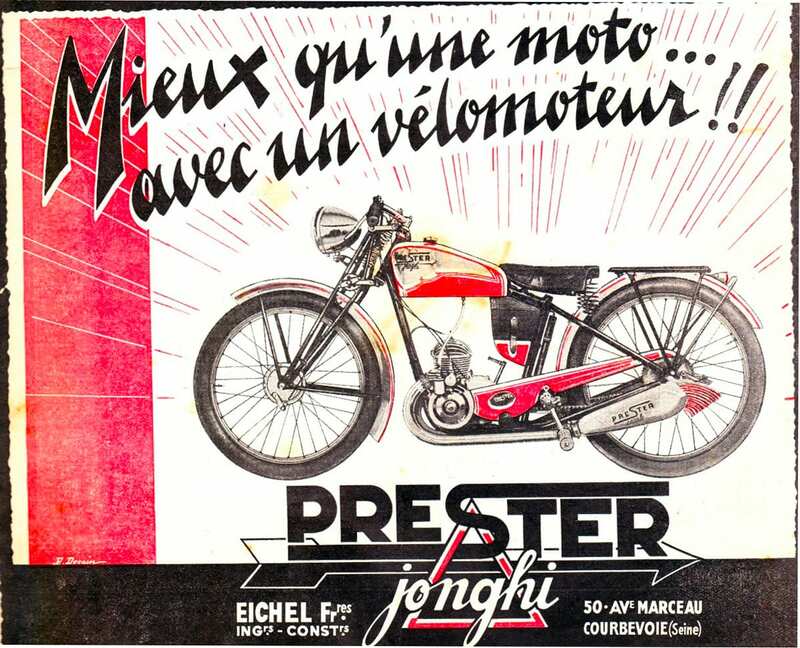 In 1933 the Eichel brothers merged with the recently bankrupt Jonghi marque but were deported in 1940. Prester was absorbed by the Society for All Mechanical Apparatus (SATAM) who made petrol pumps and the like. 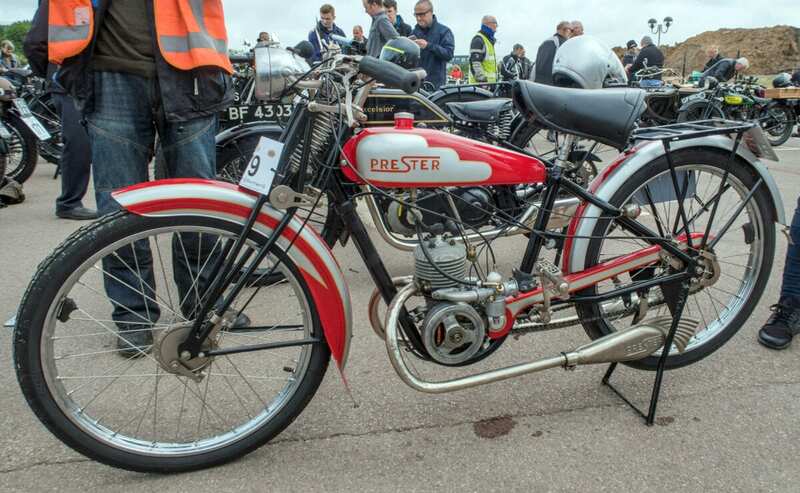 As you should be able to see, Bill has done a sterling job with his restoration – the little Prester looked in tip-top condition. The engine is from Aubier & Dunne, whilst the initials SAFI appear on the drive side. 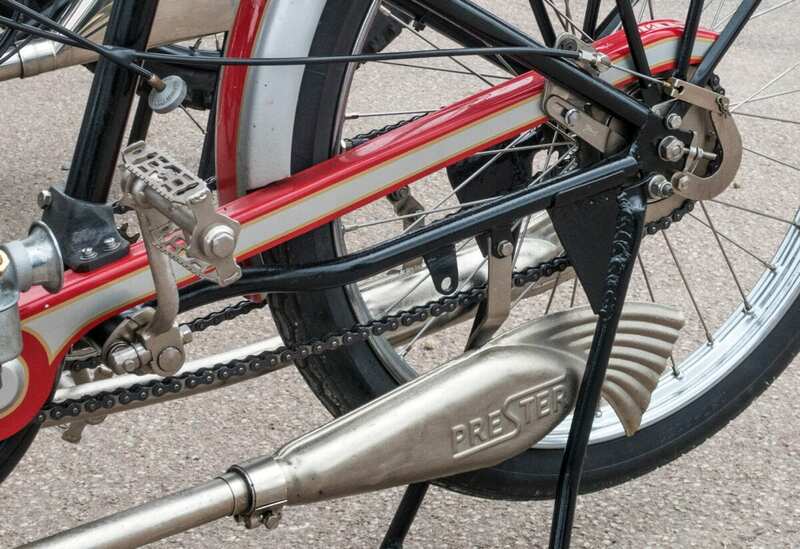 What really caught my attention, apart from the general condition, were those splendid silencers which have an art deco appearance, making a pleasant change from the more common fishtail; these are more a mermaid’s tail. Whilst I was taking photos, mention was made by bystanders of the pedals being useful for ‘LPA’. 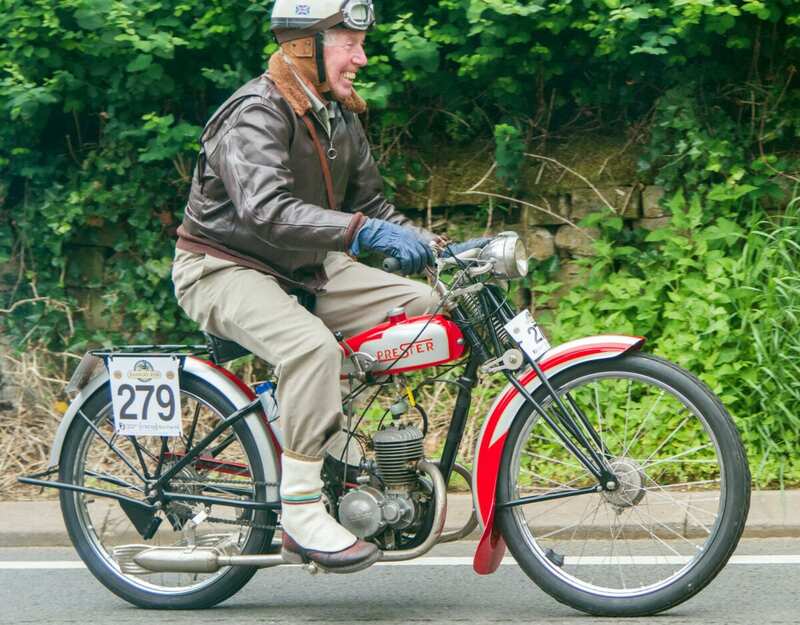 However, although the rider was smiling bravely as he came up Sunrising Hill, the word ‘light’ may not have been entirely appropriate to the pedal assistance required. Still he got the top so… vive la France!